Academy Award for services to film, 1982; Officier, Legion d'Honneur, France, 1982. Un Cinéma nommé désir , Paris, 1986. Double Vision: My Life in Film , New York, 1989; London, 1990. Wajda on Film: A Master's Notes , Venice, 1992. "Destroying the Commonplace," in Films and Filming (London), November 1961. "Andrzej Wajda Speaking," in Kino (Warsaw), no. 1, 1968. "Living in Hope," an interview with Gordon Gow, in Films and Filming (London), February 1973. "Filmer les noces," in Positif (Paris), February 1974. Interview with K. K. Przybylska, in Literature/Film Quarterly (Salisbury, Maryland), Winter 1977. "Between the Permissible and the Impermissible," an interview with D. Bickley and L. Rubinstein, in Cineaste (New York), Winter 1980/81. "Wajda August '81," an interview and article by G. Moszcz, in Sight and Sound (London), Winter 1982. Interview with Gideon Bachmann, in Film Quarterly (Berkeley), Winter 1982/83. Interview with Marcel Ophuls, in American Film (Washington, D.C.), October 1983. Interview with Dan Yakir, in Film Comment (New York), November/December 1984. Interview with K. Farrington and L. Rubenstein, in Cineaste (New York), vol. 14, no. 2, 1985. Interview with W. Wertenstein, in Sight and Sound (London), Summer 1985. Interview with T. Hubelski, in Kino (Warsaw), May 1990. Interview with J. J. Skreiberg, in Film and Kino (Oslo), no. 4, 1990. Interview with P. Dowell, in Cineaste (New York), vol. 19, no 4, 1993. "Wajdas ofullbordade," in Chaplin (Stockholm), vol. 36, no. 2, 1994. Interview with wanda Wertenstein, in Kino (Warsaw), November 1994. "Interview with Martti Puukko, in Filmihullu (Helsinki), no. 5–6, 1998. McArthur, Colin, editor, Andrzej Wajda: Polish Cinema , London, 1970. Michalek, Boleslaw, The Cinema of Andrzej Wajda , translated by Edward Rothert, London, 1973. Curi, Giandomenico, Cenere e diamenti: il cinema di Andrzej Wajda , Rome, 1980. Douin, Jean-Luc, Wajda , Paris, 1981. Paul, David W., editor, Politics, Art, and Commitment in the Eastern European Cinema , New York, 1983. Karpinski, Maciej, The Theatre of Andrzej Wajda , Cambridge, 1989. Kakolewski, Krzysztof, Diament odnaleziony w popiele , Warsaw, 1995. Nurczy 'nska-Fidelska, Ewelina, Polska klasyka literacka wedlug Andrzeja Wajdy , Katowice, 1998. Szydlowski, Roman, "The Tragedy of a Generation," in Film (Poland), no. 46, 1958. Michalek, Boleslaw, "Polish Notes," in Sight and Sound (London), Winter 1958/59. Higham, Charles, "Grasping the Nettle: The Films of Andrzej Wajda," in Hudson Review (Nutley, New Jersey), Autumn 1965. "Wajda Issue" of Etudes Cinématographiques (Paris), no. 69–72, 1968. Austen, David, "A Wajda Generation," in Films and Filming (London), July 1968. Toeplitz, K., "Wajda Redivivus," in Film Quarterly (Berkeley), Winter 1969/70. Cowie, Peter, "Wajda Redux," in Sight and Sound (London), Winter 1979/80. "Wajda Issue" of Avant-Scène du Cinéma (Paris), 1 January 1980. Aufderheide, Pat, and others, "Solidarity and the Polish Cinema," in Cineaste (New York), vol. 13, no. 3, 1984. Engelberg, S., "Wadja's Korczak Sets Loose the Furies," in New York Times , 14 April 1991. Ball, E., "Citizen Wadja," in Village Voice (New York), 23 April 1991. Coates, Paul, "Revolutionary Spirits: the Wedding of Wajda and Wyspianki," in Literature/Film Quarterly (Salisbury), April 1992. Dowell, Pat, "The Man Who Put Poland on the Postwar Map of Cinema," in Cineaste (New York), vol. 19, no. 4, 1993. Falkowska, J., "'The Political' in the Films of Andrzej Wajda and Krzysztof Kieslowski," in Cinema Journal (Austin), Winter 1995. Epstein, Jan, "Is Cinema Dead?" in Cinema Papers (Fitzroy), August 1997. Macnab, Geoffrey, in Sight and Sound (London), February 1998. Seberechts, Karin, "Andrzej Wajda Homage," in Film en Televisie + Video (Brussels), January 1999. The history of Polish film is as old as the history of filmmaking in most European countries. For entire decades, however, its range was limited to Polish territory and a Polish audience. Only after the Second World War, at the end of the 1950s, did the phenomenon known as the "Polish school of filmmaking" make itself felt as a part of world cinema. The phenomenon went hand in hand with the appearance of a new generation of film artists who, despite differences in their artistic proclivities, have a number of traits in common. They are approximately the same age, having been born in the 1920s. They spent their early youth in the shadow of the fascist occupation and shared more or less similar postwar experiences. This is also the first generation of cinematically accomplished artists with a complete grasp of both the theoretical and practical sides of filmmaking. Their debut was conditioned by the social climate, which was characterized by a desire to eliminate the negative aspects of postwar development labelled as the cult of personality. The basic theme of their work was the effort to come to grips with the painful experience of the war, the resistance to the occupation, and the struggle to put a new face on Polish society and the recent past. Temporal distance allowed them to take a sober look at all these experiences without schematic depictions, without illusions, and without pathetic ceremony. They wanted to know the truth about those years, in which the foundations of their contemporary life were formed, and express it in the specific destinies of the individuals who lived, fought, and died in those crucial moments of history. And one of the most important traits uniting all the members of the "school" was the attempt to debunk the myths and legends about those times and the people who shaped them. 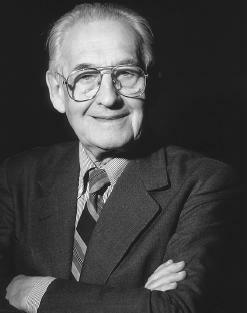 The most prominent representative of the Polish school is Andrzej Wajda. In the span of a few short years he made three films, Pokolenie , Kanał , and Popiół i diament , which form a kind of loose trilogy and can be considered among the points of departure for the emergence of popular Poland. Pokolenie tells of a group of young men and women fighting in occupied Warsaw; Kanał is a tragic story of the 1944 Warsaw Uprising; Popiół i diament takes place at the watershed between war and peace. Crystallized in these three films are the fundamental themes of Wajda's work, themes characteristic of some other adherents of the "school" as well. In these films we also see the formation of Wajda's own artistic stamp, his creative method, which consists of an emotional approach to history, a romantic conception of human fate, a rich visual sense, and dense expression that is elaborate to the point of being baroque. In his debut, Pokolenie , he renounces the dramatic aspect of the battle against the occupation and concentrates on the inner world of people for whom discovering the truth about their struggle was the same as discovering the truth about love. In Kanał he expresses disagreement with a myth long ago rooted in the consciousness of the Polish people and propounded in portrayals of the Warsaw Uprising—that the greatest meaning of life is death on the barricades. In the film Popiół i diament we hear for the first time in clear tones the theme of the Pole at the crossroads of history and the tragedy of his choice. Wajda expresses this theme not in abstract constructions but in a concrete reality with concrete heroes. Wajda returns to the war experience several times. Lotna , in which the historical action precedes the above-mentioned trilogy, takes place in the tragic September of 1939, when Poland was overrun. Here Wajda continues to take a critical view of national tradition. Bitterness and derision toward the romanticization of the Polish struggle are blended here with sober judgment, and also with understanding for the world and for the people playing out the last tragicomic act on the historical stage. In the film Samson , the hero, a Jewish youth, throws off his lifelong passivity and by this action steps into the struggle. Finally, there is the 1970 film Krajobraz po bitwie , which, however, differs sharply from Wajda's early films. The director himself characterized this difference in the following way: "It's not I who am drawing back [from the war]. It's the war. It and I are growing old together, and therefore it is more and more difficult for me to discover anything in it that was close to me." Krajobraz po bitwie has become Wajda's farewell to the war for a long time. This does not mean, however, that the fundamental principles of the artistic method found in his early films have disappeared from his work, in spite of the fact that his work has developed in the most diverse directions over the course of forty years. The basic principles remain and, with time, develop, differentiate, and join with other motifs brought by personal and artistic experience. Some of the early motifs can be found in other contexts. Man's dramatic attitude towards history, the Pole at the crossroads of history and his tragic choice—these we can find in the film Popióły , in the image of the fate of Poland in the period of the Napoleonic Wars, when a new society was taking shape in the oppressive atmosphere of a defeated country divided up among three victorious powers. People living in a time of great changes are the main heroes of Ziemia obiecana , which portrays the precipitous, drastic, and ineluctable course of the transition from feudalism to the capitalist order. A man's situation at dramatic historical moments is also the subject of the films Człowiek z marmuru, Człowiek z żelaza , and Danton , which have met with more controversy than the preceding works. In Danton and similarly in Les Possédés another element is present: the description and criticism of destructive revolutionary forces, which lust for power and assert themselves brutally without regard for the rights of others. Wajda's work reveals many forms and many layers. Over time, historical films alternate with films on contemporary subjects; films with a broad social sweep alternate with films that concentrate on intimate human experiences. Wajda is conscious of these alternations. From history he returns to contemporaneity, so as not to lose contact with the times and with his audience. After a series of war films, he made the picture Niewinni czarodzieje , whose young heroes search for meaning in their lives. In the film Wszystko na sprzedaż , following the tragic death of his friend, the actor Zbigniew Cybulski, he became absorbed in the traces a person leaves behind in the memories and hearts of friends; at the same time he told of the problems of artistic searching and creation. Wajda's attitudes on these questions are revealed again in the next film, Polowanie na muchy , and even more emphatically in Dyrygent , where they are linked to the motif of faithfulness to one's work and to oneself, to one's ideals and convictions. The motif links Dyrygent with Popiół i diament. Another theme of Dyrygent —the inseparability of one's personal, private life from one's work life and the mutual influence of the two—is the basic problem treated in Bez znieczulenia. In Wajda there are many such examples of the migration of themes and motifs from one film to another. They affirm the unity of his work despite the fact that alongside great and powerful works there are lesser and weaker films. Such, for example, is Wajda's sole attempt in the genre of comedy, Polowanie na muchy , or the adaptation of Joseph Conrad's novel Heart of Darkness , which underwent a cinematic transformation. Another unifying element in Wajda's oeuvre is his faithfulness to literary and artistic sources. A significant portion of his films come from literature, while the pictorial aspect finds its inspiration in the romantic artistic tradition. In addition to such broad historical frescoes as Popióły or Ziemia obiecana , these include, for example, Stanislaw Wyspianski's drama of 1901, Wesele , important for its grasp of Poland at a bleak point in the country's history. Wajda translated it to the screen in all the breadth of its meaning, with an accent on the impossibility of mutual understanding between disparate cultural milieus. The director also selected from the literary heritage works that would allow him to address man's existential questions, attitudes towards life and death. This theme resonates most fully in adaptations of two works by the writer Jaroslaw Iwaszkiewicz, Brzezina and Panny z Wilka , in which the heroes are found not in history but in life, where they are threatened not by war but by old age, illness, and death, and where they must struggle only with themselves. To address such existential tension Wajda also developed a transcription of Mikhail Bulgakov's prose work The Master and Margarita , filmed for television in the German Democratic Republic under the title Pilatus und andere-ein Film für Karfreitag. In the 1980s, after a number of years, Wajda goes back to the subject of war. It is in the nostalgic Kronika wypadków miłosnych , which deals with young people into whose loves and disappointments creeps the premonition of a military catastrophe and death. Eine Liebe in Deutschland is about the tragic consequences of the love felt by a married German woman for a Polish prisoner. And it is also the subject of Korczak , the most important work of Wajda's comeback. The director based Korczak on an authentic story, and the hero who gave the film its name is a portrait of a real person. After the arrival of the German occupying forces in Poland, Korczak followed his charges from an orphanage into the Jewish Ghetto, and in the end of his own free will into the extermination concentration camp of Treblinka. With this film about Korczak Wajda closed, for the time being, one of the great subjects of his life and work. He has done this by employing the simplest and therefore the most effective method: black-and-white photography, which renders a sober record of life in a sealed-off ghetto and at the same time pays homage to the unostentatious heroism of a man who, face to face with death, did not forget the moral code of the human race. Wajda's oeuvre, encompassing artistic triumphs and failures, forms a unified but incomplete whole. The affinity among his films is determined by a choice of themes which enables him to depict great historical syntheses, metaphors, and symbols. He is constantly drawn to those moments in the destinies of individuals and groups that are crossroads of events with tragic consequences. In his films the main motifs of human existence are interwoven—death and life, love, defeat, and the tragic dilemma of having to choose, the impossibility of realizing great aspirations. All these motifs are subordinated to history, even a feeling as subjective as love. Wajda's films have not been, and are not, uniformly received by audiences or critics. They have always provoked discussions in which enthusiasm has confronted condemnation and agreement has confronted disagreement and even hostility; despite some failures, however, Wajda's films have never been met with indifference.